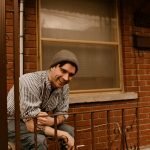 I have been writing, recording and preforming music for 7 years now. Since I was 14 all I wanted to do was be able to create all the time. I started off playing guitar, learning every Blink-182 song I possibly could. Shortly after I was feeling confident enough in my abilities I started my own band. After playing a few shows here and there, after high school I was excepted into Seneca Colleges Independent Music Production program which opened my eyes to everything music. I was seeing genres that other people excelled at and sparked the love that I know have for Jazz and Hip-Hop. I started a band after college called Steady Hussle and received international recognition for my EP: Copacetic earning over 3 million plays and touring across Canada. Over the last 2 years I have been working very hard to become fluent in recording and mixing through my preferred DAW: Logic Pro X. I am always growing as an artist and producer and thats the reason I wake up to learn and improve.